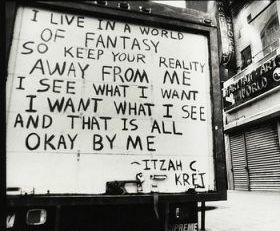 What was reality they make into fantasy, not all are blinded by indoctrination . The use of imaginative fiction is to deepen your understanding of your world, and your fellow men, and your own feelings, and your destiny. There is another component that makes us who we are. It is a fantasy comprising all of our actions and thoughts. Its called an opinion. Wishes are for fantasies; fantasies are for dreaming; dreams are for living! Love works in a magical way but never be fooled by the promise of forever. Life is built on perceptions, something between life and death, reality and fantasy. My passion for you intensely consumes me, what started as a delicate situation has turned into an endless fantasy. Every single one of us goes through life depending on and bound by our individual knowledge and awareness. And we call it reality. However, both knowledge and awareness are equivocal. One's reality might be another's illusion. We all live inside our own fantasies. For some people, fantasies are essential to forget the unpleasant past and serves as good respite from their haunting memories. A very few successful people have the power to turn fantasies into realities by bringing into shape what they conceived in their dreams. As Virginia wolf said, “It is in our idleness, in our dreams, that the submerged truth sometimes comes to the top “. To be more philosophical, the entire world is a fantasy and we are all characters in it. 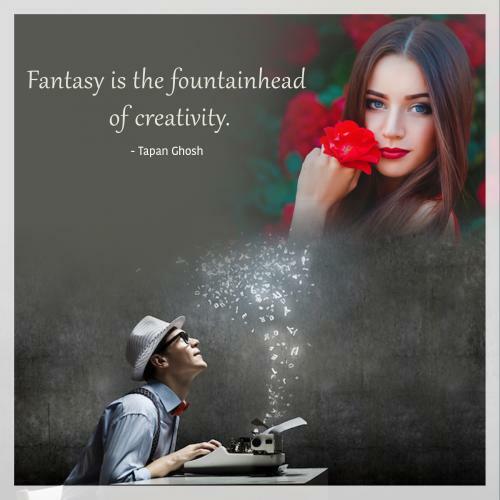 Here are quotes on fantasies and read them; they are interesting.